DESCRIPTION: Sterling silver, functional bell that rings. The legs are the clappers. 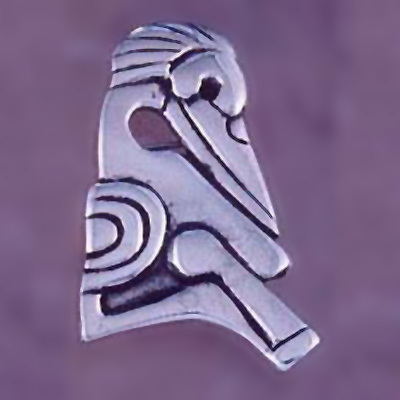 DESCRIPTION: Sterling silver mask image.